Flowerona wins the Individual Wedding Category at the UK Blog Awards 2015! Thank you very much to the judges Tina Reading of Ultimate Wedding Magazine and Lisa Hogg of The Wedding Affair. Many thanks to Phase Eight for the loan of the beautiful jumpsuit. And to make-up artist Amy at MAC at Selfridges. 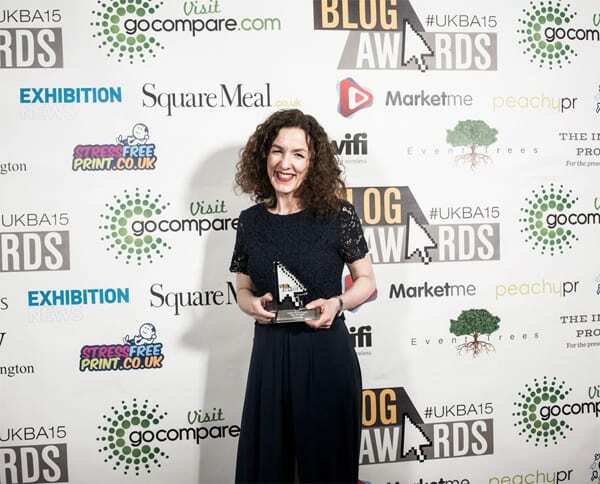 And last but not least by any means, a huge thanks to Gemma Pears for organising the UK Blog Awards! « Winner of the inaugural #floweronawedding initiative on Instagram! CONGRATULATIONS! !! May this be the first of many blessings! Love your outfit!!!! !